Scripture selection is Day 8 Period I.
for August 21st are Luminous. Please pray for a special intention. Pray for Matt, pray for funds & grace. Pray for Matthew, Malcolm & Betty. 25 Years ago I received this message. 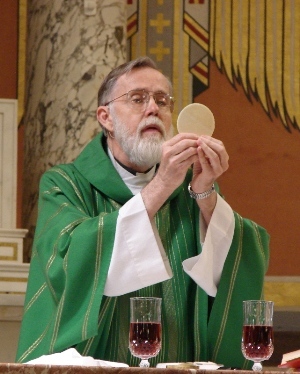 My dear Father, I offer you this day all my prayers, works, joys and sufferings in union with the Holy Sacrifice of the Mass throughout the world, in the Holy Spirit. 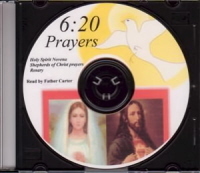 I unite with all the angels and saints and souls in purgatory to pray continually to the Father for these intercessions, in this prayer, for this day. For myself, I pray for grace-abundant grace, to know and love God more and more and to follow the Will of the Father. I pray for each member of my family and I pray for my friends. I pray for the intercession of the Sacred Heart and the Immaculate heart of Mary. and the triumph of the Immaculate Heart. I love you Jesus and I give you my heart. I love you Mary, and I give you my heart. in us in intimate fashion. At many moments in the past and by many means, God spoke to our ancestors through the prophets; but in our time, the final days, he has spoken to us in the person of his Son, whom he appointed heir of all things and through whom he made the ages. You cannot have forgotten that all of us, when we were baptised into Christ Jesus, were baptised into his death. So by our baptism into his death we were buried with him, so that as Christ was raised from the dead by the Father’s glorious power, we too should begin living a new life. Jesus is the Bread come down from Heaven. opposing - working against God. The devil works in men that let him in. We ask the Holy Spirit to come and possess our soul. anger, envy, jealousy, lust and gluttony. about something that is sin"
his grip is paralyzing and crippling. Handmaids and Servants of the Good Shepherd. "My soul doth magnify the Lord, she says"
This is from Fr. 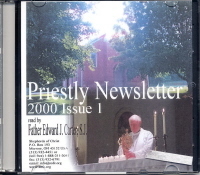 Carter's Priestly Newsletter. In all this Mary offers an example. Selfishness was totally foreign to her. She did not belong to herself. She belonged to God. She was not closed in upon herself. She was completely open to God. When God spoke, she listened. When God pointed the way, she followed. She realized that life is not a process a person masters by carefully mapping out one's own self-conceived plans of conquest, but a mystery to be gradually experienced by being open to God's personal and loving guidance. Selfishness, then, did not close Mary off from God's call. Neither did fear. God asked her to assume a tremendous responsibility. He asked her to be the Mother of Jesus. Mary did not engage in a process of false humility and say that such a great role was above her. She did not say that she did not have the proper qualifications for this awesome mission. Briefly, she did not waste time looking at herself, making pleas that she was not worthy, telling the angel he had better go look for someone else. No, Mary did not look at herself. Her gaze was absorbed in God. She fully realized that whatever God asked of her, His grace would accomplish. She fully realized that although she herself had to cooperate, this work was much more God's than hers. Mary's words, then, truly sum up what is the authentic Christian response at any point of life, in any kind of situation: "I am the handmaid of the Lord," said Mary, "let what you have said be done to me". More and more in the image of Christ. the Father want me to do?" R. Are we a shining example of Christ? Are we first in our lives? Is Christ first in our lives? Who is first in our lives? "What have I done for Christ?" "What am I now doing for Christ?" "What ought I to do for Christ?" our lives and conduct ourselves. 137. FIRST PRELUDE. This is the history. Here it will be that Christ calls and wants all beneath His standard, and Lucifer, on the other hand, wants all under his. 138. SECOND PRELUDE. This is a mental representation of the place. It will be here to see a great plain, comprising the whole region about Jerusalem, where the sovereign Commander-in-Chief of all the good is Christ our Lord; and another plain about the region of Babylon, where the chief of the enemy is Lucifer. 139. THIRD PRELUDE. This is to ask for what I desire. Here it will be to ask for a knowledge of the deceits of the rebel chief and help to guard myself against them; and also to ask for a knowledge of the true life exemplified in the sovereign and true Commander, and the grace to imitate Him. 140. FIRST POINT. Imagine you see the chief of all the enemy in the vast plain about Babylon, seated on a great throne of fire and smoke, his appearance inspiring horror and terror. 141. SECOND POINT. Consider how he summons innumerable demons, and scatters them, some to one city and some to another, throughout the whole world, so that no province, no place, no state of life, no individual is overlooked. 142. THIRD POINT. Consider the address he makes to them, how he goads them on to lay snares for men and bind them with chains. First they are to tempt them to covet riches (as Satan himself is accustomed to do in most cases) that they may the more easily attain the empty honors of this world, and then come to overweening pride. The first step, then, will be riches, the second honor, the third pride. From these three steps the evil one leads to all other vices. 143. In a similar way, we are to picture to ourselves the sovereign and true Commander, Christ our Lord. 144. FIRST POINT. Consider Christ our Lord, standing in a lowly place in a great plain about the region of Jerusalem, His appearance beautiful and attractive. 145. SECOND POINT. Consider how the Lord of all the world chooses so many persons, apostles, disciples, etc., and sends them throughout the whole world to spread His sacred doctrine among all men, no matter what their state or condition. 146. THIRD POINT. . . .
that I am doing your will. to lead men to greater holiness. the Holy Spirit is leading them. a firm purpose of amendment. "Be free – do what you want,"
Christ wants us to live the Christ-life. Christ is the Victim for our sins. gave Himself for our sins? must also love his brother. By his divine power, he has lavished on us all the things we need for life and for true devotion, through the knowledge of him who has called us by his own glory and goodness. Through these, the greatest and priceless promises have been lavished on us, that through them you should share the divine nature and escape the corruption rife in the world through disordered passion. With this in view, do your utmost to support your faith with goodness, goodness with understanding, understanding with self–control, self–control with perseverance, perseverance with devotion, devotion with kindness to the brothers, and kindness to the brothers with love. In fact, through the Law I am dead to the Law so that I can be alive to God. I have been crucified with Christ and yet I am alive; yet it is no longer I, but Christ living in me. The life that I am now living, subject to the limitation of human nature, I am living in faith, faith in the Son of God who loved me and gave himself for me. I am not setting aside God’s grace as of no value; it is merely that if saving justice comes through the Law, Christ died needlessly.